Doesn’t happen often, but I do cook Pakistani food sometimes. Monday was one of those days. But then, I turned it into a sandwich. Mainly because I had subs sitting at home that needed to be used up. I roughly cut chicken into bite size pieces and marinated it with salt, pepper, garlic powder, ginger, paprika, cayenne pepper, lemon juice, yogurt and a little of this chicken tikka masala that my family seems to love every time I use it in anything. It’s potent and a lot stronger than the typical Shan masala… a little goes a long way. Trust me. I cooked it over medium heat [with the top covered], and just when it was almost cooked through: I added strips of bell peppers in various colors. It softened with the heat, and the smell of the dish? Mouth watering. You could serve this with rice, naan, whatever… I just made a sub out of it because I needed to use up the sub. 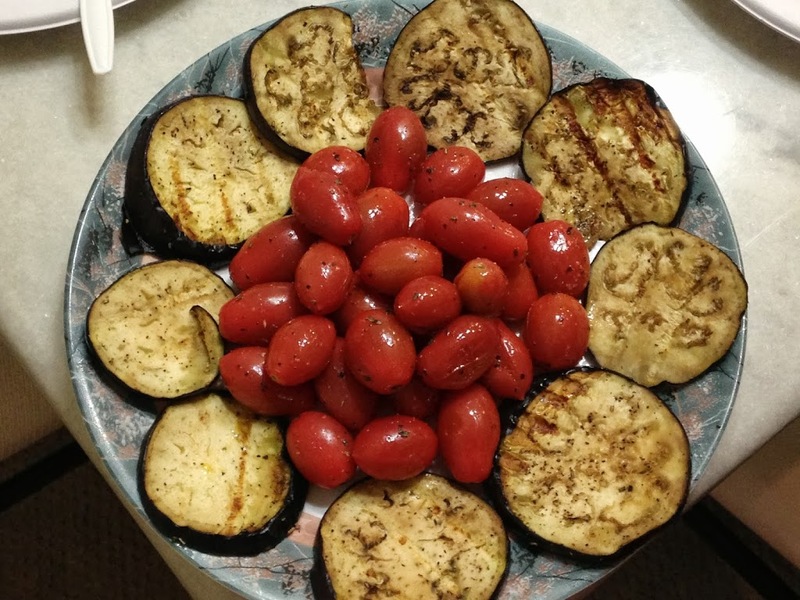 On the top, throw in cucumbers [mine were fresh from our veggie garden in the backyard!]. Sauce wise, a mayo spread is what we used today. I take mayo and season with black pepper, garlic, and paprika… and sometimes whatever else I feel like adding. Be creative, have fun. 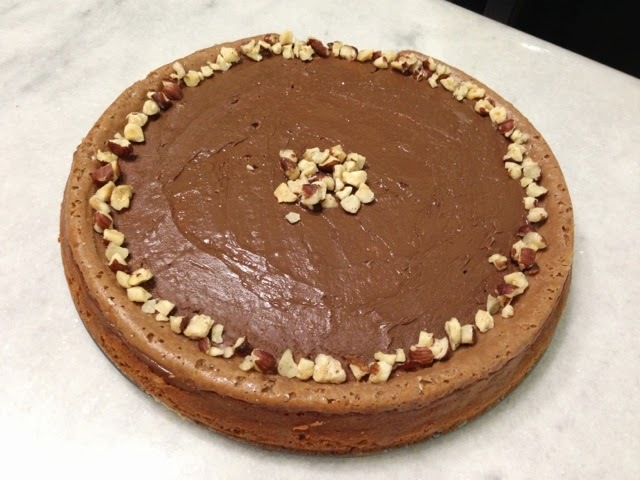 This past Friday, I made a Nutella Cheesecake for a potluck on Saturday night. With a very busy weekend, I needed something I could make in advance and a cheesecake was perfect for that. The whole making a day in advance and letting it cool [which I NEVER do] finally was done this time around… mainly because I had no choice. I used the same recipe as my Chocolate Hazelnut Swirl Cheesecake , the only thing I did differently was: I didn’t do the swirl. I mixed in the nutella with the whole cheesecake batter. To decorate, I topped the cheesecake with a thin layer of nutella, and then sprinkled hazelnuts on top! Usually when I make homemade cookies from scratch, I simply make chocolate chip cookies because those are the only kinds my brothers will eat. This afternoon, I wanted something sweet but had no milk chocolate chips [my favorite kind], but had some leftover combination of peanut butter and milk chocolate morsels that would do. Preheat your oven to 325 degrees. Line your baking sheet [with foil, etc.] for easy cleanup. In a bowl, add your butter along with the granulated sugar and the brown sugar. Beat on low to medium speed until the mixture is light and fluffy. Next: add in the salt, vanilla, and egg. Beat until everything is well mixed together. Add in your flour and baking soda and mix to combine everything. Lastly, add in the chocolate chips. Take even sized amounts of dough, and roll into a ball. Place on your baking sheet, leaving space in between each one. Bake in your preheated oven for 12-14 minutes, or until they are golden brown. Slowly, but surely, working on posting old family favorite recipes that are a staple around here. 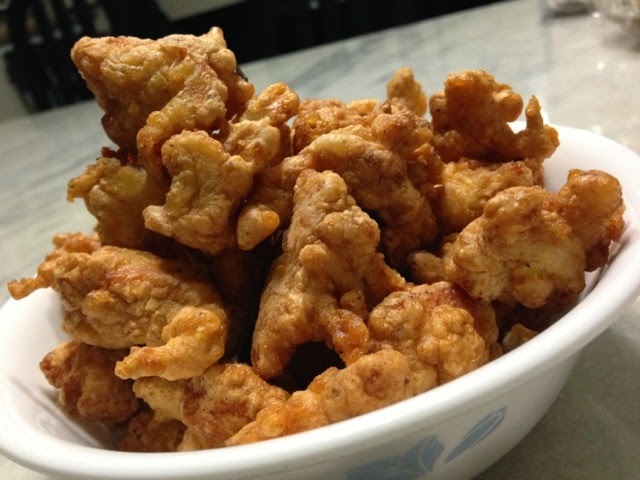 These popcorn chicken are a must throughout Ramadan for iftari in our house. 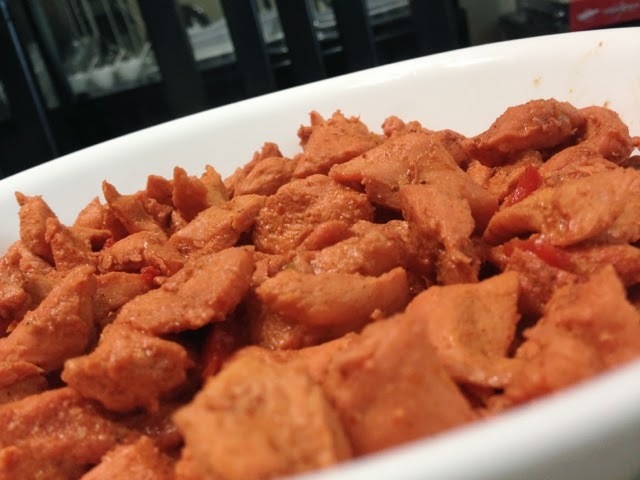 I marinate the bite size pieces of chicken with 4 eggs, salt and pepper (to taste), 1 teaspoon of baking powder, 3/4th cup of flour and 3/4th cup of cornstarch. All the quantities are very approximate as I just eyeball them. So after you marinate it, just check its consistency – it should be a thick gooey consistency. All that’s left to do is is fry the chicken until they are a light golden brown color [in batches]. It’s perfect as is, but sometimes I add cayenne pepper for a little spice into the marinade. The fact that this verse is repeated 31 times in Surah ar-Rahman [#55]… I don’t think that is by accident. It’s without a doubt, one of my favorites ayats [verses] from the Qu’ran. The verse reminds us time and again for the many blessings we take for granted on a daily basis [and to be thankful for them]. Whether it be in terms of money, food, wealth, health… or anything and everything else: tangible and intangible. If there’s anything I’ve learned through life experiences over the past several years, it’s let go and let god. Everything happens for a reason. You just don’t know it [yet]. By that, does it mean that you live carelessly and expect greatness? Absolutely not, of course. It means: you live following the right path, and when unexpected hurdles fall your way- you keep faith that this too shall pass. In the beginning, several times, the inevitable why is this happening to me popped up in my head… but now I am quick to brush that though away if it does occur. Why not me? What makes me better than the next person to make me immune? And there’s always that belief that He, the all-knowing, doesn’t throw more at you than you can handle. But this isn’t about the hurdles. It’s about the blessings [in disguise]. Like I have talked about several times over the course of time, why do we so easily ask “why me?” in difficult times, but not in good times? How often do we truly stop to be thankful for everything we take for granted on a daily basis? Just look around your own circle of network because you won’t have to look to far to find an example of someone that has it much worse than you, yet is [probably] handling their circumstance(s) a lot better. Just think of the basics that we consider necessities that not everyone has the luxury of: roof over our head, food on the table, clothes. I’ll be the first to admit, that I, wait cross that…not just me, we are spoiled. Even down to breathing, seeing, hearing walking, talking: most of us take it for granted because it’s just a natural part of life to most. Those with issues pertaining to any of the above will tell you otherwise. It irks me to no end when in the public, you come across someone with a limb missing and people just stare. If anything, it should be yet another reminder for gratitude. Note: I don’t blog about religion very often, because I don’t think I’m by any means qualified to do so, but this is a good place for me to express my thoughts- and thoughts alone… that’s all they are. Other topics I’ve done in the past: Halal vs. Zabihah (Meat) and Organ Donation. Adoption is a topic that weighs heavily on my mind a lot, so perhaps I’ll tackle my thoughts on that next. 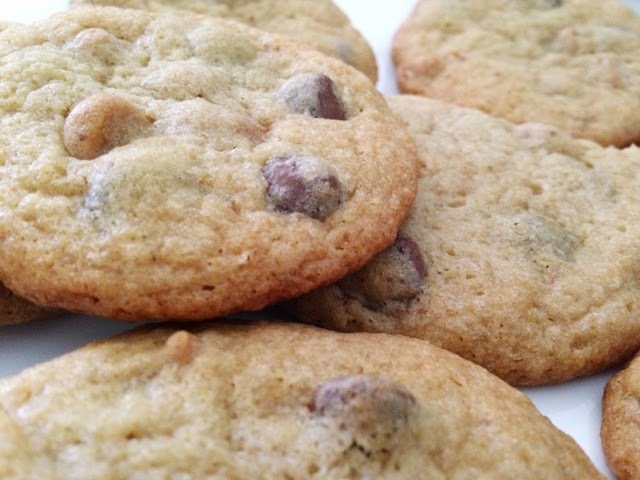 Who doesn’t love chocolate chip cookies [in any way or form]? I’ve done chocolate chip cookies, chocolate chip cookie pie, chocolate chip cookie bars, chocolate chip cookie cups one way, and then a second way and let’s not forget the chocolate chip cookie dough cheesecake! Did you figure out I LOVE chocolate yet?! … and so when I came across an idea online for making chocolate chip cookie bars using a cake mix, well… it’s been on my mind since. I couldn’t wait to try it. Using a cake mix and pudding to get the moistness in the bars? Love it. I added my own twist with adding [mini] M+Ms to it. Not a big fan of cooking with oil [and don’t very often], but I keep forgetting to get applesauce and use it as a substitute in baking since I rarely cook with oil. I did, however, use a lot less oil than what is usually called for [similar ideas usually suggest at least 3/4 cup of oil]… Yeah, that wasn’t going to happen. Preheat your oven to 350 degrees. Spray your [9 by 13 inch] non-stick pan with non-stick cooking spray for extra precaution. 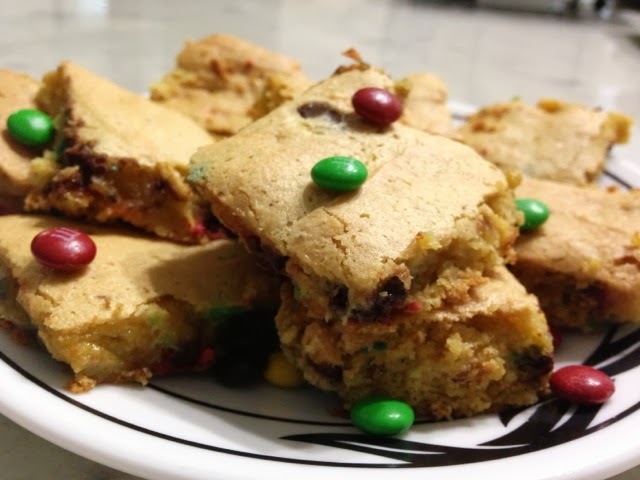 Mix together all of your ingredients– the cake mix, pudding, water, oil, eggs, chocolate chips and mini M+Ms. Move your [thick] batter into your baking pan. Bake, in your preheated oven, for about 20-25 minutes. I took it out at about the 23 minute mark. Let it cool, slightly, before cutting them into bars. The hardest part, for sure! The end result? Moist, delicious, melt-in-your-mouth goodness. chocolate cake mix, chocolate pudding mix, chocolate chips and walnuts. yellow cake mix, chocolate pudding mix, M+Ms, chocolate chips, and toffee bits. What I’ll probably use next: yellow cake mix, vanilla pudding mix, 1/3 cup each of [milk chocolate chips, peanut butter chips, and toffee bits]. Whatever you like would work!